Someone has been stealing the pittance from the children. But, who would do such a thing? It was a mystery to Tooth Fairies, Daphne and LaNola. 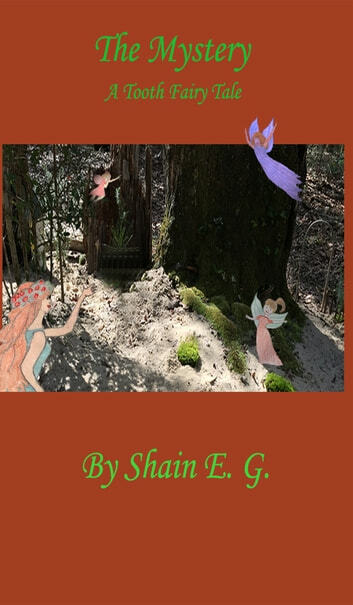 When reports of odd looking elves prowling around in the shadows and stumbling through a nettle field in the Whispering Forest, the Fairies joined forces and began their investigation. While searching among the thistles and prickly nettles in a field near the elves’ village, they made a shocking discovery … they found the missing pittance! Convinced now more than ever that they were guilty, the furious fairies stormed into the elves village. However, this proved to be extremely embarrassing for the irate fairies. But just when things looked hopeless, Captain Irwin Miles Pennybrooke, mentor and hero of the elves, showed up to save the day. At first, the fairies were taken aback by his bizarre appearance, but they soon realized that he was a wise and trustworthy ally. The clever captain told the fairies a frightening tale about a pirate ship and a group of thieving stowaways known as the Cocanups. These mysterious beings can inflate and distort their bodies in order to disguise themselves as other beings.These hooligans were almost destroyed in a brutal storm but they survived and have resumed their evil ways. However, Captain Pennybrooke knew just what to do. He provided the fairies with his secret weapons. What are the secret weapons? Will they work? Should we assume that this mystery was solved? You should never assume anything! More By Shain E. G.